As the Tourism Ministry reported earlier, the winter season starts in the country despite the snowless weather in the last days of December. Despite being a hot country perfect for summer holidays Azerbaijan is now offering wintry holidays for both locals and foreign visitors, in its Shahdag and Tufandag complexes. Located in one of the most beautiful part of the country, these new facilities have already attracted many tourists. 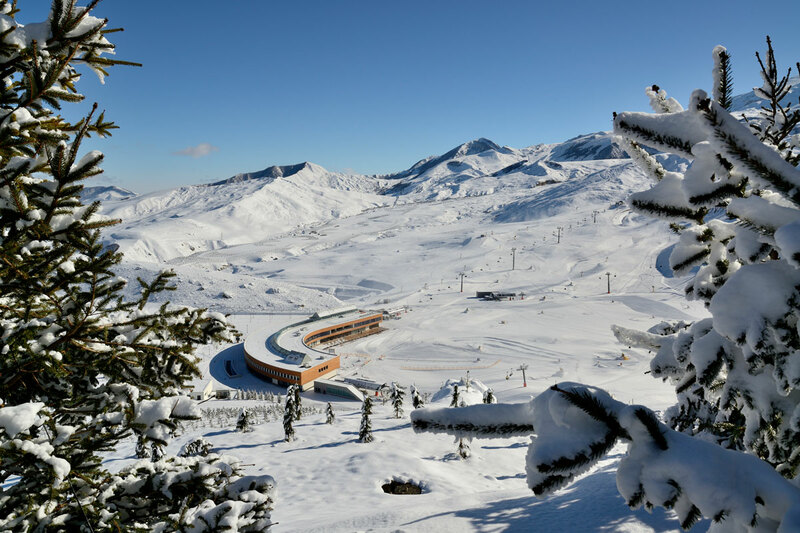 Last year, this new entertainment gathered thousands of people, as it became possible to ski in Azerbaijan without traveling to the neighboring Georgia. Shahdag complex located 30 km north of the town of Gusar, 2,500 meters above sea level, is outstanding with its rich nature, crystal-clear air, and favorable climate with a temperatures ranging between minus 20-22 degrees in winter and 20 degrees in summer. All these provide the modern tourism complex with high standards. The complex has appropriate areas for skiing, horse trekking, snowshoeing and snow tubing, those wishing more adventure can take a trip to the mountain as well. Here, all families can find something interesting, enjoy fresh mountain air and taste delicious food. Even snow-loving children will have a chance to experience the cold season here. Nineteen ski slopes are available throughout the season in line with all the necessary equipment and the latest snow machines. Visitors can spend a day here, but those, who love snow, can doss down in the high class hotels of the complex. Moderate prices will cheer anyone here. For more information, you can visit official website of the Shahdag complex. Another ski resort complex, Tufandag, 4 km north of Gabala city is also an ideal place to visit this winter. Located next to Shahdag, Tufandag has the capacity to receive 3,000 visitors per day who can enjoy the blessing of nature here. Tufandag lies on the southern slopes of the Greater Caucasus and attracts the visitors with its stunning mountain scenery. The complex is operating ten skiing runs and four cable roads with a total length of 5.8 km, as well as several hotels and restaurants. Here you can learn to ski and enjoy the slopes at a reasonable price. The whole list of the entertainment prices of the Tufandag complex is presented at their official website. Choose your destination and make this winter special for yourself with a cheerful and healthy leisure.